Since 2002, the FEAC® Institute has been training, educating and certifying Enterprise Architects and business analysts in the practice of Enterprise Architecture and critical-thinking skills all around the globe. Over the years, we have certified thousands of Enterprise Architects in enterprise and business analysis using Information Technology and various Enterprise Architecture frameworks and methodologies like FEAF, DoDAF, TOGAF and more. Countless FEAC graduates have gone on to high-level Government positions and executive-level private sector positions upon earning their CEA™ (Black Belt) or ACEA™ (Green Belt) designations. Only FEAC offers these designations with a world-class faculty of practitioners who are Enterprise Architects in the real world, and which has included current and former US Federal Chief Enterprise Architects. You can take your career to the next level with our world-class Enterprise Architecture education and even earn the coveted CEA (Certified Enterprise Architect) Black Belt, or ACEA (Associate Certified Enterprise Architect) Green Belt certifications in Enterprise Architecture. Whether you are brand new to EA, or a seasoned IT professional, our courses will broaden your understanding of Enterprise Architecture and modeling. You will learn both FEAF and DoDAF as part of your Black Belt or Green Belt certification! Newly re-designed, our Black Belt and Green Belt Programs now equip you to learn both Frameworks, with much more depth in analytics and problem solving using various tools from around the industry! Based on years as EA educators and practitioners, we understand the need that Enterprise Architects have for a robust and complete set of artifacts through their own methodologies that will give any Private Sector Organization or Government agency EAs the ability to employ enterprise architecture and analyze their enterprise efforts with success. In addition to these frameworks (students choose which track for certification), we provide a comparative Frameworks overview that allows students to explore differences, similarities as well as recognized patterns between DODAF, FEAF, TOGAF, Zachman and more. We also provide an understanding of how to apply several different modeling languages such as BPMN, SysML, IDEF and others. 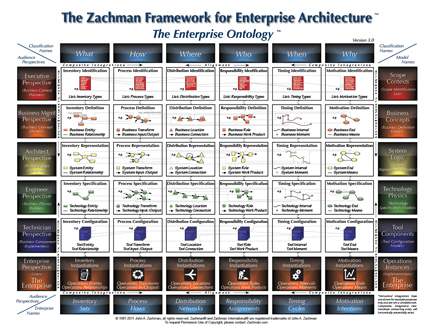 And no Enterprise Architecture would be complete without some understanding of the Zachman Framework, or Enterprise Ontology, which is the baseline for all Frameworks. Being owned and operated by Zachman International, you can be confident in the rigor of the instruction given and completeness in Enterprise Architecture education you receive. Our certification courses are not just an exercise in test preparation. In addition to world-class instruction, we will guide you through a real-life practicum project. You pick the project, and your team will develop the models and architecture to solve real business problems in class. Designed to be practical and immediately applicable for the working IT Professional, the FEAC Institute's world-renown certification programs are the longest running EA programs in the country. This is real, University-backed Enterprise Architecture and competency-based learning. 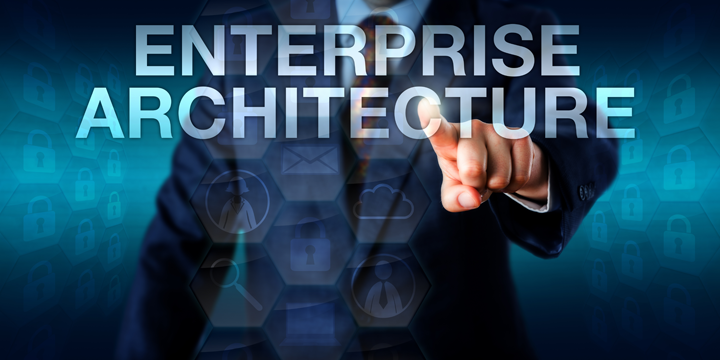 Many organizations invest significant dollars in attempting to apply the discipline of Enterprise Architecture without the benefit of fully qualified staff to do the analysis and the EA modeling and program support activities to make it work. This increases the risk and likelihood of failure, for them and/or their clients. FEAC™ Certification of your staff ensures the keys to complex projects’ success residing in understanding and leveraging the culture of the organization, tying into the budgeting processes, developing a realistic Statement of Work (SOW), selling it internally, implementing and integrating program elements, and measuring progress. For the Government, it also involves linking Enterprise Architecture to the CPIC, Exhibits 300 & 53, security, and to other ongoing OMB directed initiatives. 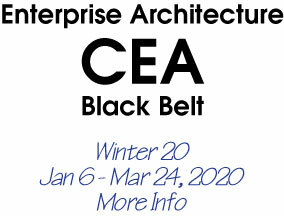 Take your career to the next level with the coveted CEA (Certified Enterprise Architect) Black Belt certification in Enterprise Architecture. Whether you are brand new to EA, or a seasoned IT professional needing a refresher, our courses will broaden your understanding of Enterprise Architecture and modeling. Applicants must possess the ability to undertake college-level study. 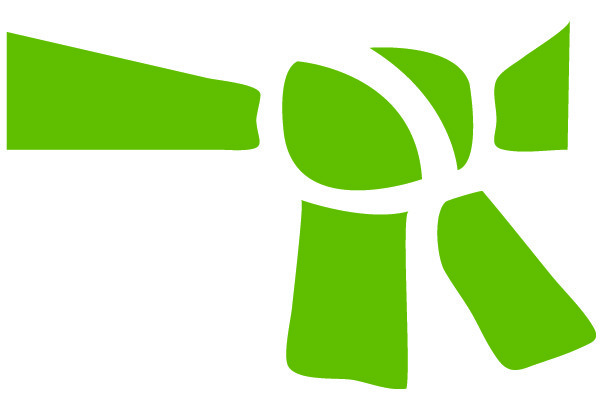 A general knowledge of business, program or IT planning and conceptual thinking abilities are desirable. Each course within these programs offers separate assignments and exams, but they are taught in relative consecutive order. Courses are often taken while students hold full-time jobs. While our courses are extremely intensive and require a great deal of effort outside of daily life, our seasoned faculty has the experience to guide you to completion of all necessary requirements for certification. Student Self-Study, Weeks 1-2: Course materials and assignments are reviewed and performed by the student on-line in the FEAC Virtual University in preparation for Instructor-lead session. Instructor-Lead Session, Week 3: Three days (24 contact hours) of instructor-lead, hand's-on, facilitated sessions with exercises and demonstration, building skills and competency in the building of Enterprise Architecture artifacts, models and analysis. Students may attend either the physical, classroom environment or via tele-presence (online). 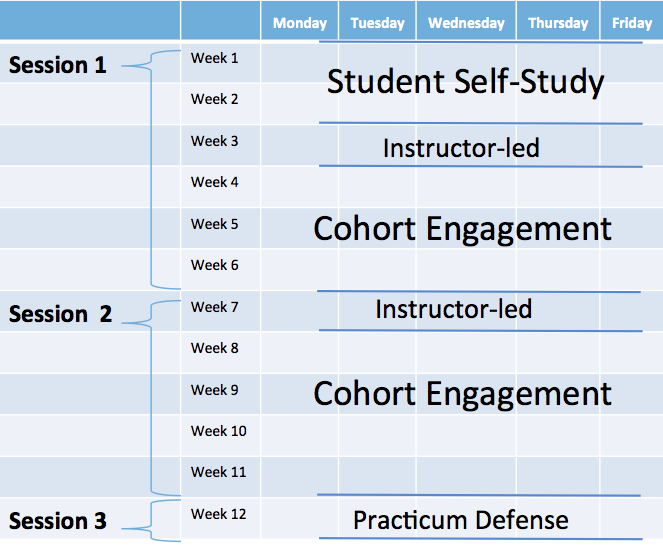 Cohort Engagement Weeks 4-6: CEA (Black Belt) and ACEA (Green Belt) Team-based completion of assignments and practicum, accessing material and assignments online in the FEAC Virtual University. Students should plan to allocate 40-60 hours for assignments and practicum. 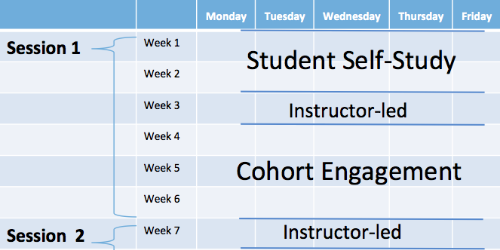 Instructor-Lead Session, Week 7: Four days (32 contact hours) Student cohorts will present their practicum results and participate with industry speakers. ACEA (Green Belt) present their practicum on Monday only of this week and will test online for completion of the certification. Cohort Engagement, Weeks 8-11: CEA Black Belt candidates will continue team-based completion of assignments and practicum, completion of additional assignments and refinement practicum efforts in the FEAC Virtual University. Students should plan to allocate 40-60 hours for assignments and practicum. Note: the actual duration of session 1 and session 2 Team Engagements may vary depending on U.S. Federal Holiday and Faculty Availability. They may be longer or shorter by one week. Take your career to the next level with the coveted ACEA (Associate Certified Enterprise Architect) Green Belt certification in Enterprise Architecture. Whether you are brand new to EA, or a seasoned IT professional needing a refresher, our courses will broaden your understanding of Enterprise Architecture and modelling. Designed to be practical and immediately applicable for the working IT Professional, the FEAC Institute's world-renown certification programs are the longest running EA programs in the country. Only FEAC offers the ACEA designation! What sets our program apart from all others is the demonstration of competency. Because our ACEA program takes place over one and a half months, we take the time with you to develop your EA skill and ensure that your are competent to do Enterprise Architecture. We don't just show you what models look like, you will gain experience creating them yourself inside a real life project. This course is not just an exercise in test preparation. In addition to world-class instruction, we will guide you through a real-life practicum project. You pick the project, the you and your team will develop the models and architecture to create the Architecture and solve real business problems in class. Instructor-Lead Session, Week 7: One day. Student cohorts will present their practicum results and participate with industry speakers. 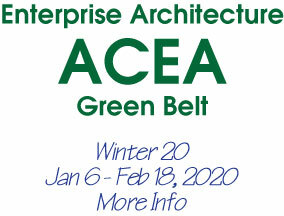 ACEA (Green Belt) present their practicums only of this week and will test online for completion of the certification.